The BSE Oil and Gas index was trading 2.1% lower at 12,880. ONGC stock fell 2.5% ahead of Q3FY19 numbers. Meanwhile, crude oil prices were trading higher with US West Texas Intermediate (WTI) crude futures at $54.16 per barrel up 0.5%, while International Brent crude oil futures gained 0.6% at $63.98 a barrel. The crude oil rose on Thursday, buoyed by hopes that potential progress in the latest Sino-US tariff talks would improve the global economic outlook, and as China's trade figures including crude imports beat forecasts. 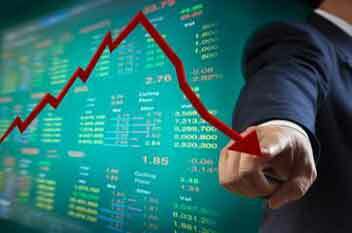 The Sensex is down 150 points at 35,884, while the Nifty dropped 56 points at 10,737. The market breadth was negative with 819 shares advancing, 1,249 shares declining, and 111 remaining unchanged. Hindustan Petroleum Corporation Ltd is currently trading at Rs214.45 down by Rs10.95 or 4.86% from its previous closing of Rs225.40 on the BSE. Bharat Petroleum Corporation Ltd is currently trading at Rs313.60 down by Rs15.05 or 4.58% from its previous closing of Rs328.65 on the BSE. Indian Oil Corporation Ltd is currently trading at Rs124.30 down by Rs5.8 or 4.46% from its previous closing of Rs130.10 on the BSE. Oil & Natural Gas Corpn Ltd is currently trading at Rs130.80 down by Rs2.8 or 2.1% from its previous closing of Rs133.60 on the BSE. Reliance Industries Ltd is currently trading at Rs1,231.10 down by Rs13.3 or 1.07% from its previous closing of Rs1,244.40 on the BSE. Petronet LNG Ltd is currently trading at Rs220.80 down by Rs0 or 0% from its previous closing of Rs220.80 on the BSE. Oil India Ltd is currently trading at Rs171.25 down by Rs1.5 or 0.87% from its previous closing of Rs172.75 on the BSE. Indraprastha Gas Ltd is currently trading at Rs280.15 up by Rs6.55 or 2.39% from its previous closing of Rs273.60 on the BSE.